The next generation of the Jetta compact sedan has arrived, offering great fuel economy along with plenty of available premium features that make it stand out in its class. 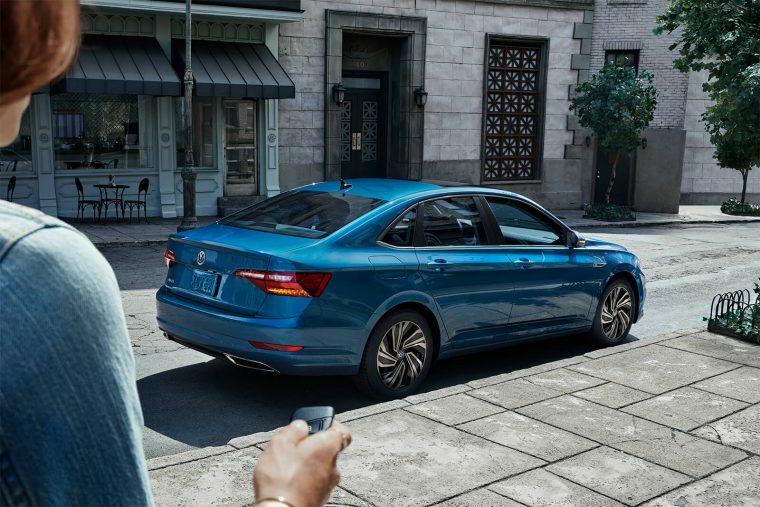 With a turbocharged engine and an impressive warranty, the 2019 Volkswagen Jetta is re-engineered to bring you bigger thrills for a smaller price. What’s New for the 2019 Volkswagen Jetta? 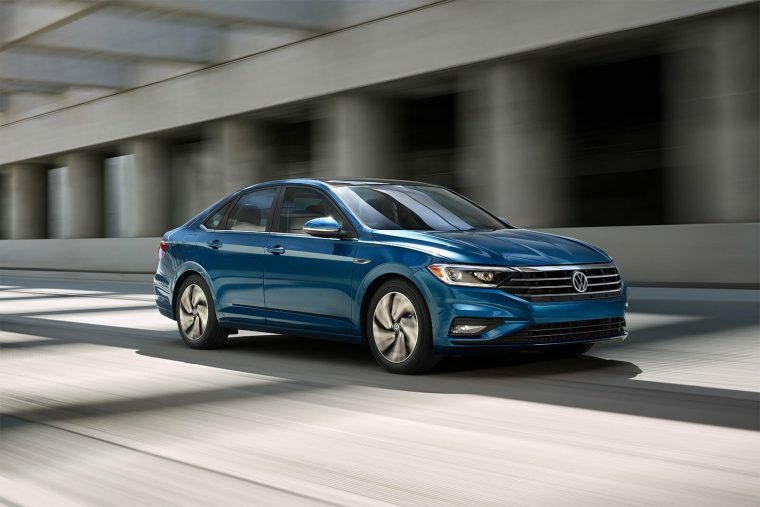 The 2019 Volkswagen Jetta is redesigned to be sportier and sleeker with Volkswagen’s new MQB architecture while maintaining its sharp presence. It’s powerful for its size and gives you more control over its performance as you enjoy a bold character design and a more spacious cabin. 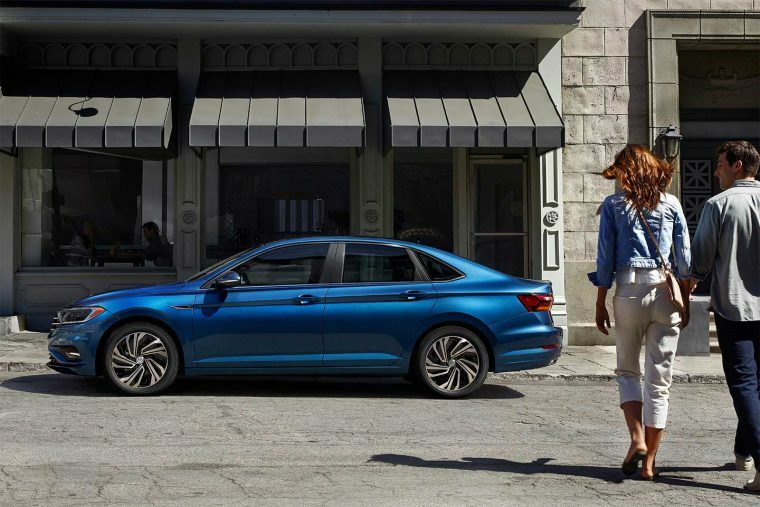 With new fabric colors and a strong exterior, the 2019 Jetta is ready to be personalized just for you. 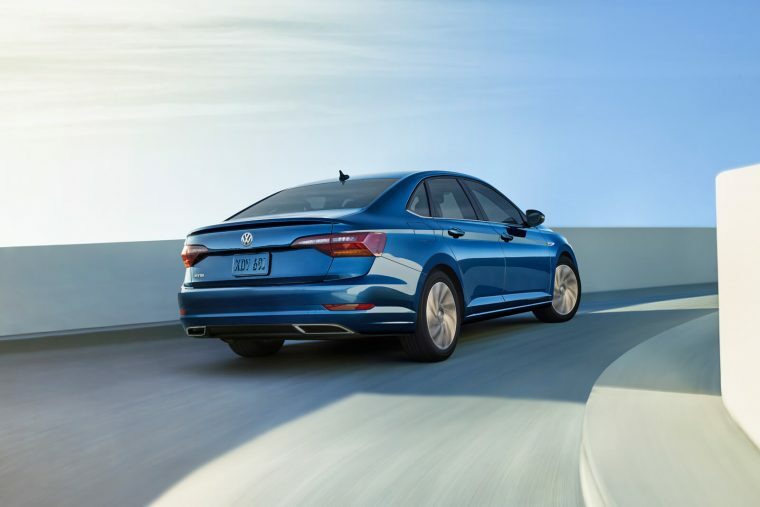 The 2019 Volkswagen Jetta is available as five trim levels: S, SE, R-Line, SEL, and SEL Premium. The Volkswagen Jetta doesn’t overdo it with its all-new design. With a subtle sculpted hood and LED headlights with LED Daytime Running Lights, this sedan has a distinctive, premium style. Slide back the available power panoramic sunroof to let in some natural light, or let the LED taillights and LED headlights with LED Daytime Running Lights illuminate your path when it gets dark. 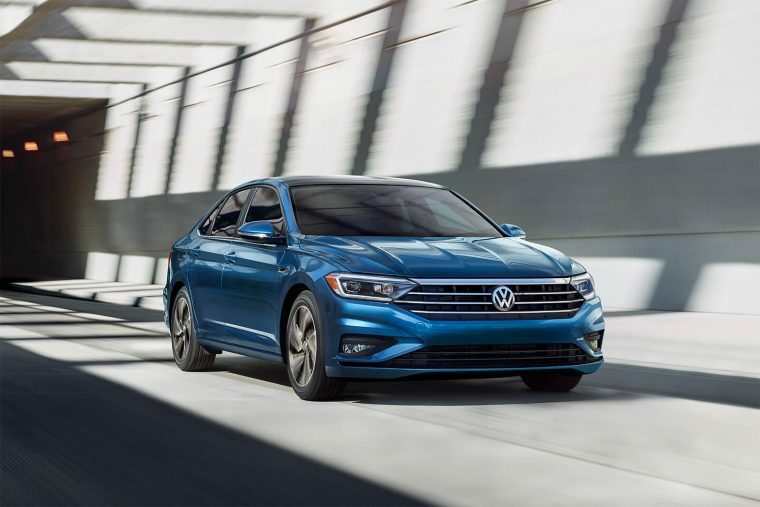 The 2019 Volkswagen Jetta provides exhilarating performance with a standard 1.4-liter turbocharged engine that produces 147 horsepower and 184 lb-ft of torque. Its new eight-speed automatic transmission brings exciting acceleration, while the available Driving Mode Selection feature lets you choose between Eco, Normal, Sport, and Custom driving modes to give you control over your feel on the road. On the R-Line, enjoy the Cross Differential System XDS for even more accurate turning and precise handling. With its new design, the 2019 Jetta has a lower coefficient of drag and active louvers in the grille, helping its efficiency. The sedan earns an estimated 30 mpg in the city, 40 mpg on the highway, and 34 mpg combined. The interior of the 2019 Volkswagen Jetta provides you with the perfect amount of tasteful luxury. You’ll sit comfortably in the available heated and ventilated two-tone V-Tex leatherette seats. For fun customization, choose between 10 colors of interior ambient lighting on the SEL to match the mood. To further enhance the cabin, there are innovative technology features such as BeatsAudio and a Discover Media touchscreen navigation system that make the ride more enjoyable. The Volkswagen Jetta has safety in mind as it works to deliver premium performance. Equipped with seven stability-enhancing systems and plenty of safety features, the Jetta helps prepare and protect its passengers for what they may encounter.